Last Thursday I had a really great time at the Lyon (France) WordPress meetup, where I made a presentation about the delights of hybrid mobile apps development and, as a pratical application, gave a demo of WP-AppKit. We built a mobile app connected to WordPress together and it was really nice for people to see that it’s not just theory: you can build a basic WordPress content based mobile app in no time using hybrid technologies and solutions like WP-AppKit. Before building your first WP-AppKit’s theme you’ll have to look into some of the key notions (like managing a RequireJS dependency, binding events on dynamic DOM elements or using the WP-AppKit API) but really, there’s not so much to know before starting to create or customize your app’s theme and we make sure that before leaving beta we’ll have all the doc and tutorials ready to get you covered. Anyway, it was really nice to talk about all this in Lyon, and we hope we can renew this experience another time. The slides of my presentation can be found here (in French). 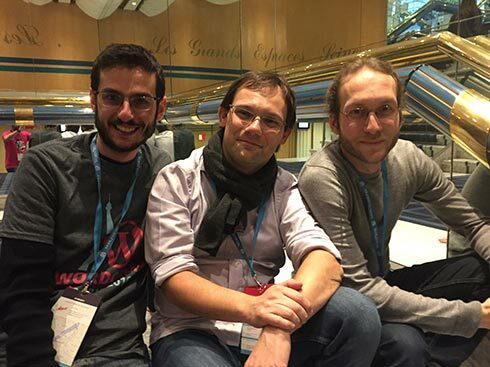 In the next months we’ll be at WordCamp London, WordCamp Lyon and WordCamp Europe. We hope to see you there!